Hike, camel trek, surf, ski and bike under African skies. 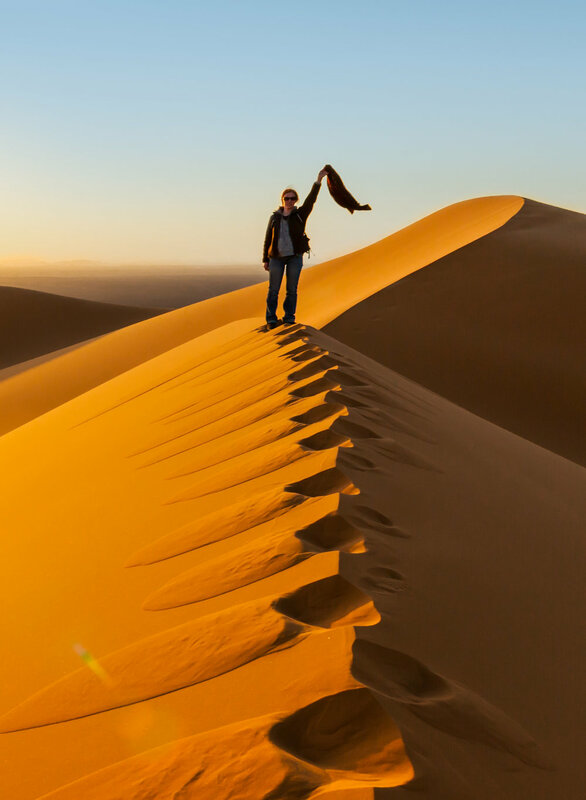 Whether a taste of adventure or challenging full-day hikes, Morocco offers a wide variety of ways to explore in search of a full dose of traveller’s adrenaline. From a short walk to a full -day trek to climbing Mt. Toubkal, North Africa’s highest peak, the High Atlas is the place to hike. Essaouira and Dakhla offer world class windsurfing. Taghazout is growing from a little surfer town to a destination in and of itself. Hike through olive orchards, quiet forests and hidden valleys in the shadow of Mt. Toubkal, stopping for tea at the home of a local villager. Ride a camel to a Saharan desert oasis, where a gourmet picnic lunch awaits your arrival, and soft cushions and vintage rugs invite you to rest tired legs. Mountain-bike down gentle hills or steep slopes, the journey tailored to your comfort level. Enjoy a private surf lesson in Taghazoute, widely considered to have the finest waves in North Africa, or try stand-up paddleboarding in the more gentle waters of Essaouira or Dakhla. Whatever your ability and comfort level, Cobblestone will customize an active itinerary to suit your needs. Some travelers enjoy an afternoon or two of gentle hiking and an easy surf lesson or private yoga lesson on the beach; adrenaline junkies thrill to an entire itinerary based on biking, surfing and challenging treks through the High Atlas. Allow us to design an itinerary that offers exciting new ways to experience Morocco, comfortably and safely. Cobblestone recommends: Stand-up paddleboarding in Essaouira, private surf lessons in Taghazoute, a hike through the juniper forests near Tagadirt.